Do you know what “elle a les cheveux châtains” means? 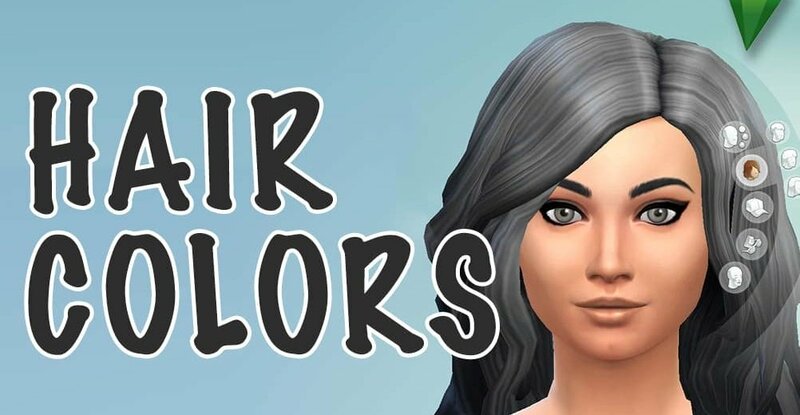 Learn the French hair color vocabulary with a fun video using the popular video game The Sims in French. In French, we have a special name for the hair which is on top of your head: “les cheveux”. Des cheveux or les cheveux. Elle a les cheveux de quelle couleur ? De quelle couleur sont ses cheveux ? However it’s a bit less common in French. Watch out that in French, “les cheveux” is plural… So whenever you refer to “hair” (singular in English), you’ll need to use a verb / French adjective in the plural. 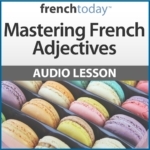 And of course, like for most French adjectives, the adjective goes after the noun. Elle a les cheveux blonds. You could say: “Ses cheveux sont blonds” but we prefer using the construction “elle a les cheveux + adjective” in French: “elle a les cheveux blonds“. So now, let’s explore the different hair colors in French. This color is very used in French and usually not known by students. It’s the equivalent of a dark blond, sort of a chestnut color. She has brown hair. She’s a brunette. She has blond hair. She’s a blond. Elle a les cheveux roux = elle est rousse. She has red hair. She’s a redhead. Watch out, French has a specific adjective for red as a hair color : roux, and rousse. We do not use “rouge” unless the hair has been died in a bright crimson red color. Elle a les cheveux noirs. Watch out! We do not say “elle est noire” to talk about her hair color. “Elle est noire” means “she is black of skin”. And it is the politically correct term to use in French. Elle a les cheveux blancs. Same remark. Elle est blanche would refer to her skin color. Elle a les cheveux poivre et sel. Elle a des mèches bleues et violettes. She has blue and purple highlights. Et vous ? Vous avez les cheveux de quelle couleur ? And now, let’s see a video featuring the French vocabulary about the hair colors, and using The Sims 4.
and there are more… Subscribe to French Today on Youtube so you never miss a video!